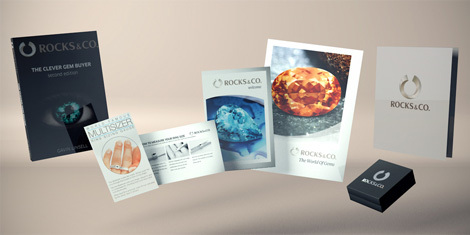 Rocks & Co. only sells jewellery with genuine gemstones. We provide an authenticity certificate with every purchase which guarantees the authenticity of your gemstone jewellery. Additionally, our authenticity certificate shows all the important details about your jewellery; including the name of the gemstone, gem shape, size, number of precious stones, carat weight, and so on. With the Rocks & Co. authenticity certificate, you can have confidence in your purchase. Authenticity Certificate Rocks & Co.